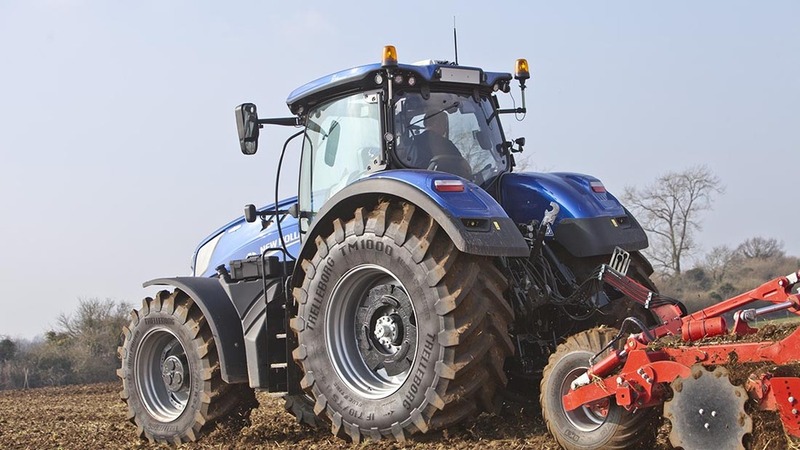 Reacting to a market requirement, particularly in Europe, for a high power to weight ratio tractor around the 300hp mark, New Holland have created two new models. 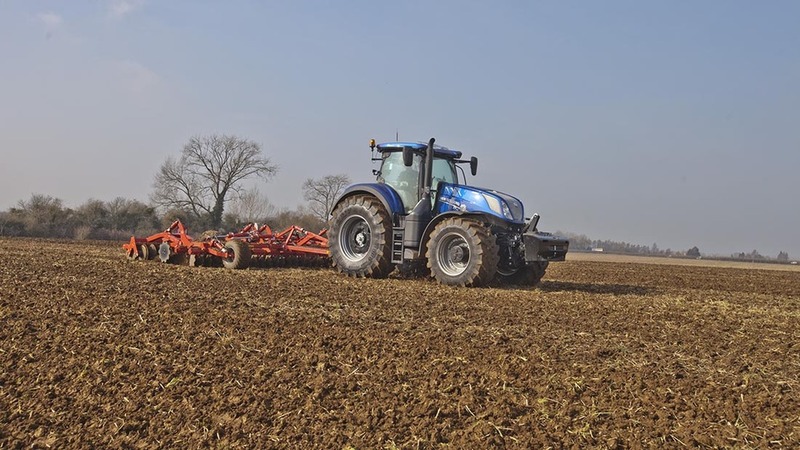 To find out more, Geoff Ashcroft headed to the stubble fields of Oxfordshire with a T7.315. The T7.315 is one of two HD models at the top of New Holland’s 10-model T7 range. In just a few short months since their introduction, New Holland’s T7HD models have already outsold the total number of T8s which went to UK customers during 2015. It is proof, if it were needed, of the UK tractor market’s growing desire for more power in a relatively light and maneuverable package. T8 power if you will, in a T7 package, as the 2,995mm wheelbase is just 4 per cent longer than the current T7 long wheelbase variants. And New Holland die-hards appear to be snapping them up as fast as the Basildon production line can build them. So what’s special about the T7 Heavy Duty range? There are currently two models - the T7.290 and the T7.315. They sit above the previous range-topping T7.270 and overlap with the lower end of the bulkier T8 range. 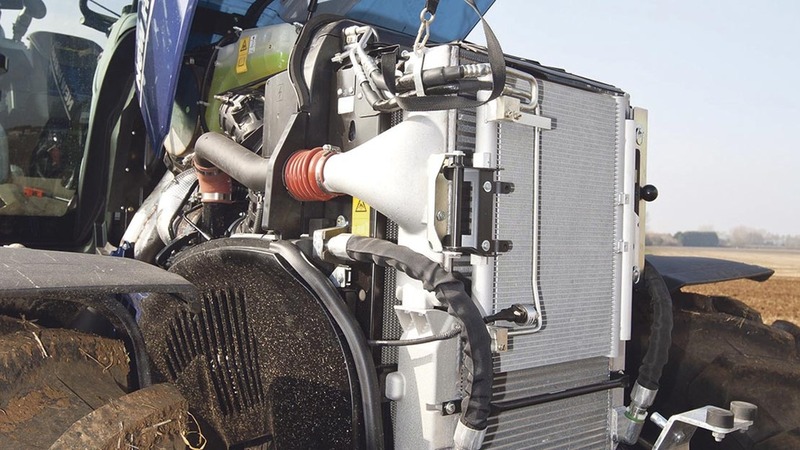 Cooling pack is easy to access for cleaning. 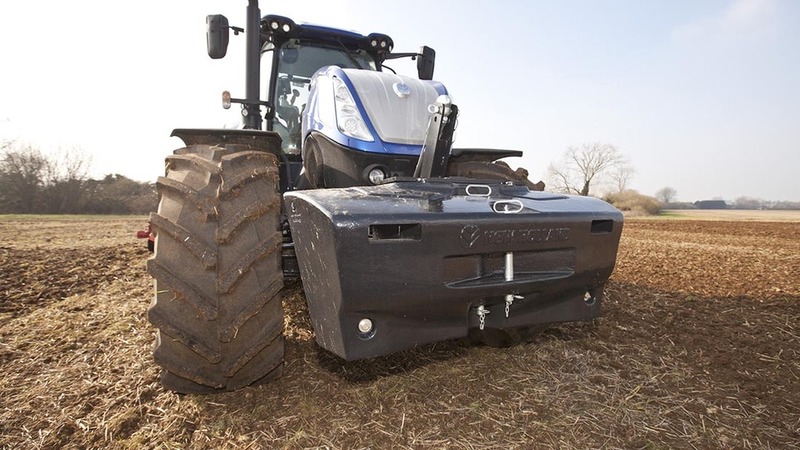 Unusually for New Holland, there is no power boost with these two models. So the numbers you see on the bonnet relate to the maximum horses available without the need to meet specific criteria to unlock further potential. Power continues to come from an FPT-sourced 6.7-litre NEF engine, meeting EU Stage 4 emissions regulations using selective catalytic reduction and a diesel oxidation catalyst only. An electronically controlled variable geometry turbocharger helps both HD tractors to deliver full torque from 1,200-1,700rpm. In the case of the T7.315 tested here, it’s a whopping 1,282Nm. When it comes to weight, these tractors can operate from 10.5 to 16 tonnes. 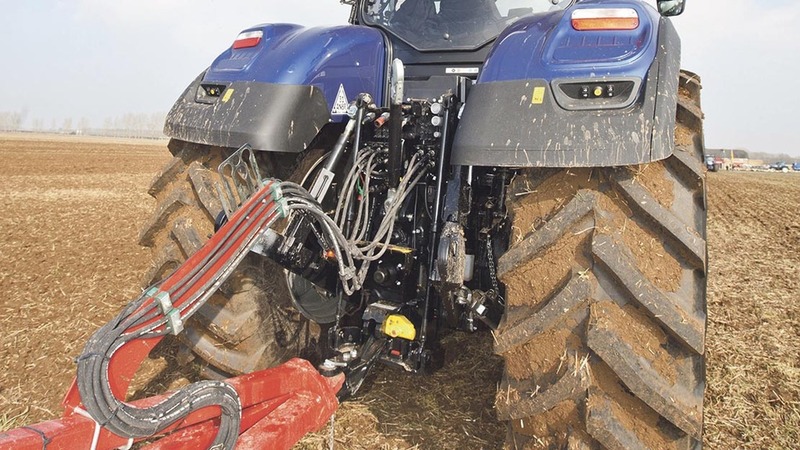 For most tasks, expect them to weigh two tonnes more than a T7 long wheel base model, and 2.5 tonnes lighter than a T8, suggests New Holland. Again, it answers criticisms, particularly for European conditions, to be able to carry out high power pto and transport requirements without putting up with a numb, lumbering brute. Yet both tractors have the ability to be ballasted up for heavy draft applications. A two-tonne segmented front weight can be split to offer a one-tonne weight. HD models are not existing T7s with engine remaps. They feature several specially designed components. 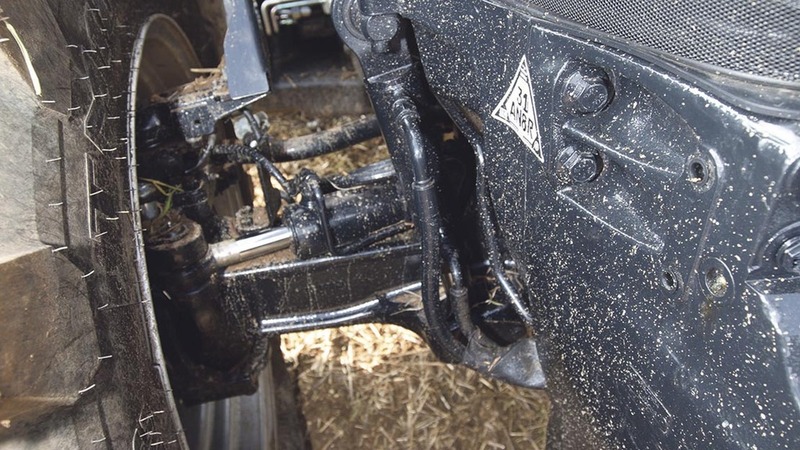 In particular, the engine incorporates a load-bearing sump, which carries much of the tractor’s stresses and strains. Up front is also a revised front linkage, built in-house. Its close-coupling and foldable nature prevents an extension to overall length. A 5.8-tonne lift capacity makes the most of a beefed up front axle, and you can choose up to two double acting spools, plus a free-flow return, seven-pin lighting socket and three-pin power socket on the nose. A factory-supplied 2,000kg modular weight block can be split into two 1,000kg weights, courtesy of integral pallet tine holes to simplify handling. And those seeking the optional front pto get 1000 and 1000E speeds - the latter at 1,585 engine revs, allowing triple mower users to perhaps throttle back in lighter crops and seek more fuel efficiency. A four-speed rear pto is available too. Rear-end boasts 11.1 tonnes lift capacity. At the rear is an uprated version of the firm’s AutoCommand continuously variable transmission (CVT), standard on both models, and a beefed up rear axle. In addition, you get 25 per cent more lift - 11.1 tonnes compared to the T7.270’s 10.5 tonne lift capacity. The changes mean group 49 wheel and tyre options can be fitted - so 710/75 and 900/60 R42s can be used, offering a longer footprint to get the power down. And tyre pressure monitoring - through valve stem sensors - can be shown on the IntelliView IV monitor. Both HD models are virtually identical, though a hefty £10,000 price differential can be found at base retail specification. The T7.315 can also be had in limited edition Blue Power guise (as tested), with metallic blue livery, silver wheels and plush cab fripperies. Although a pleasant place to work, the T7’s cab is showing its age. However, those hoping for more comfort might be disappointed to learn that both HD models still share the same ageing cab design as used on other T7 models. There have been cab updates over its lifecycle, but its low roof line and limited storage space means it is being left behind by its competitors. While it is not a bad place to sit - thanks to its choice of three seats - it could be a whole lot better too. What the T7.315 does offer is familiarity and operational simplicity. It is a tractor almost anyone could just jump on and drive. And coupled to a Horsch Joker 6RT cultivator, on sticky Oxfordshire soils, the newfound power package made light work of the task. Joystick now benefits from soft-touch buttons that are also backlit. The firm’s AutoCommand CVT cleverly shuffles power requirement and revs to suit your target forward speed and load, and with revised engine software, it reacts much snappier too. You can tweak the balance between productivity and economy in both Cruise and Auto modes by setting the engine droop dial, allowing you to make more use of the available muscle. And with such a huge torque reserve available, it works very well on the T7.315. It was easy enough to pull the Joker at about 14kph, using approximately 1,500rpm, with any changes in load being met with rapid response from the engine. And high-torque, low rpm progress means in-cab sound levels are pleasant too. Front axle is derived from the firm's larger T8 tractor. At such forward speeds, ride quality was impressively smooth, thanks to an air-suspended seat, Comfort Ride cab suspension and front axle suspension. 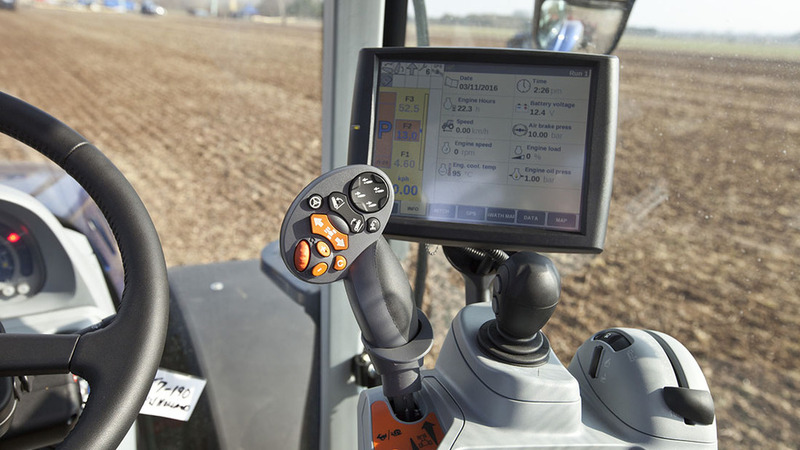 The T7HD tractors also get self-centering steering too, so you don’t have to wind the lock back off when making a headland turn - so expect less fatigue on short work. Thanks to improvements to the exhaust brake mechanism, braking performance gets a boost too. As well as closing a flap in the exhaust, it also adjusts the turbo and cooling fan to provide resistance. It all adds up to give approximately 40 per cent more braking force over traditional braking methods. Overall, a brief spell in the cab left us with the impression that New Holland has made good strides forward with this T7.315 model. It feels muscular, yet agile and we could see its success leading to models with more power too. 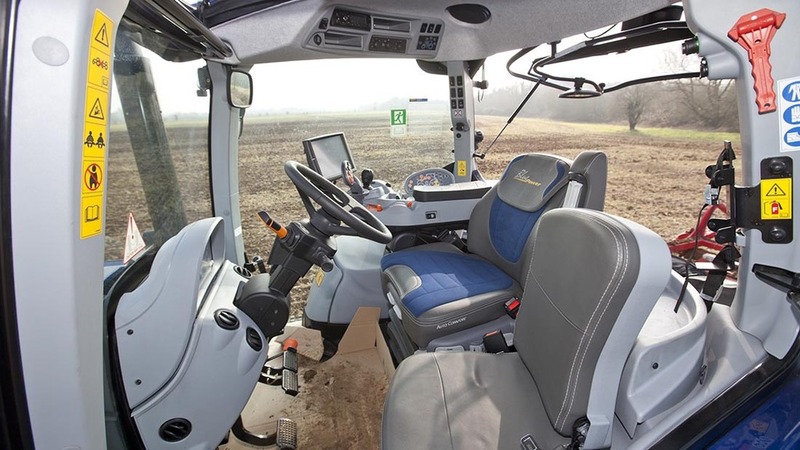 If only the firm could just sort out its ageing cab, New Holland could quite easily have a winning formula on its hands.